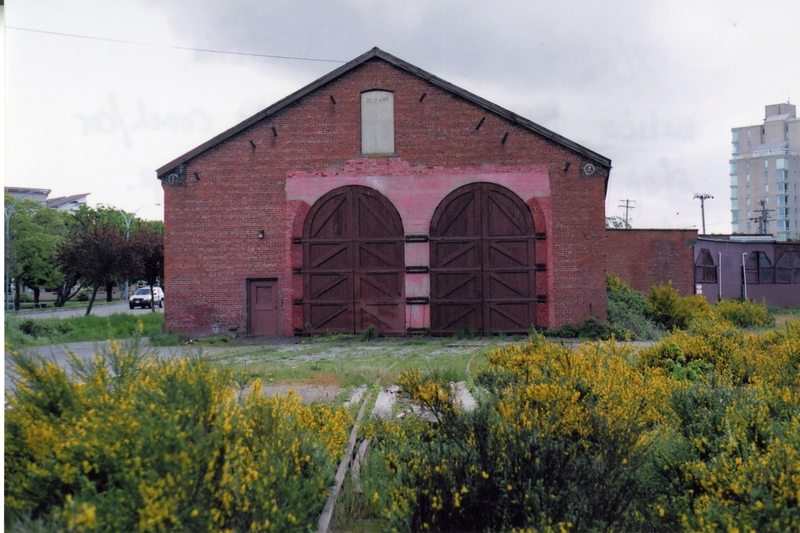 Photograph depicts what was believed to be a former repair coach/car shop. It held a Budd car in storage. Vegetation in the foreground shows passage of a vehicle in the last 2-3 months.